Oral Medication or Eye Injection? 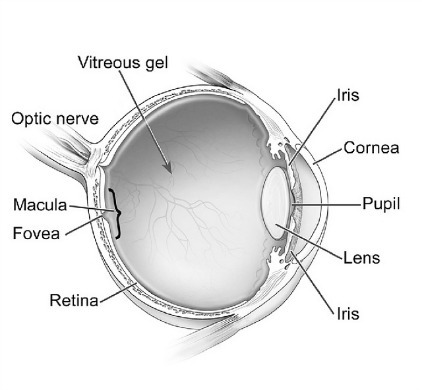 What if your wet macular degeneration could be treated with a pill instead of an eye injection? Just two pills a day over a six week period saw vision improvement in the majority of participants in the Phase 2a study of AKST4290 sponsored by Alkahest. Alkahest describes AKST4290 as an "orally administered CCR3 inhibitor that blocks the action of eotaxin, an immunomodulatory protein that increases as humans age and with specific age-related diseases. 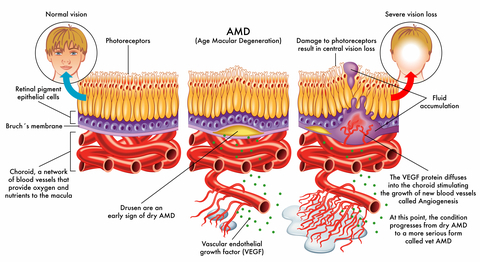 By targeting eotaxin and its downstream effects, AKST4290 may reduce the hallmark inflammation and neovascularization of wet AMD while also acting more broadly to reduce inflammation associated with many other age-related diseases." Alkahest is a biotech company based in San Carlos, California that focuses its research on diseases associated with aging, including macular degeneration. One retina specialist, Dr. Michael Stewart, Chair, Department of Ophthalmology at the Mayo Clinic, Jacksonville reacted to the positive preliminary results by stating, "These early data for AKST4290 are extremely promising, showing an impressive increase in visual acuity even over a short 6-week period of treatment. The potential for gaining meaningful visual improvement with an oral agent in neovascular AMD represents a major step forward for patients."